The Travel lite electric folding power wheelchair is a lightweight, easy folding mobility solution that will guarantee a comfortable ride. 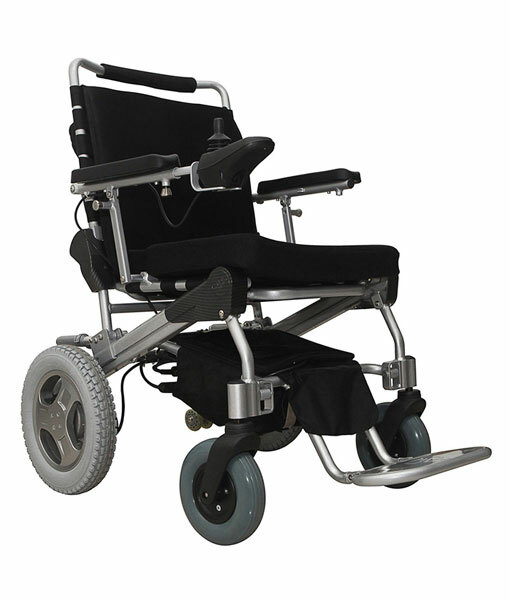 The power wheelchair has a longer travel mileage and is designed to carry a load of 150kg. Designed to fit inside any small space and a class-leading weight of only 15kg. Users can also enjoy a high-efficiency brushless hub motor and a joystick controller with 50% battery saving power. Its batter cycle is designed for 1000 charging cycles and is created out of pollution free materials. Phosphate Lithium batteries – platinum lifespan of more than 1000+ charges. 10 times the working life of standard lithium batteries. Huge Travel range of up to 28km. Tilt Recline – x5 multi adjust settings. Smart Folding for easy storage. Compatible with our Hercules Lifter for Unit Transport if required. Lifetime of brushless motor is 10 times of brush motor.